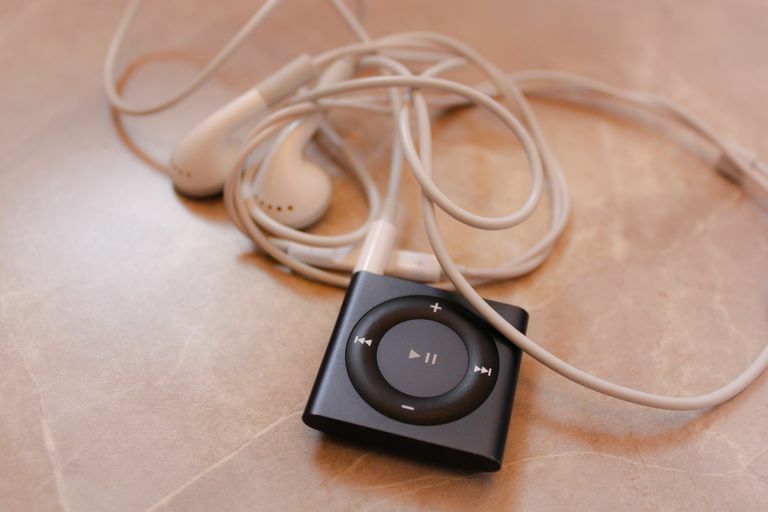 With the 2010 release of the 4th Generation iPod Shuffle, it's clear that Apple has learned its lesson from the failures of the third-generation model. The third-generation iPod Shuffle was an interesting idea that ultimately failed. It was small, light, and affordable, but because Apple removed all the buttons that controlled the device, users needed compatible headphones with built-in remote controls. This made the Shuffle incompatible with older headphones (which was especially annoying if you'd invested in expensive headphones) and hard to control. The 4th gen. ditches the 3rd generation's shape and lack of controls, returning the Shuffle to the small rectangular shape that's more like the 2nd generation model. It's controlled by a small ring of buttons with the volume and forward/back buttons on the outside, and a play/pause button in the middle. You can now feel safe using whatever headphones you want, and it's easy to control the Shuffle without looking at it or having to reach for a remote on the headphones. This is especially valuable to exercisers — the people most likely to use the Shuffle — who don't want to be distracted from their workout when changing a song. Beyond improving the controls, though, Apple's also made this generation smaller, which is sure to please exercisers. The 4th Generation Shuffle is just a bit larger than a U.S. quarter coin. While it's slightly heavier than the previous model (0.44 ounces vs. 0.38), it feels smaller and lighter. Exercisers will especially appreciate the size and weight because, even when clipped to a loose piece of clothing, the Shuffle barely bounces or moves. Compared to its predecessor, the 4th Generation iPod Shuffle is a major improvement, but it's not a perfect device. It wouldn't merit 5 stars (if we awarded stars) because the iPod Shuffle's competition isn't the previous, ill-conceived model. It's actually low-cost, low-capacity MP3 players from other companies. And while the iPod Shuffle has floundered with its previous model, the competition has advanced a lot. As with all Shuffle models, because the 4th Gen. Shuffle doesn't have a screen, it has just two playback modes: shuffle or in sequence. This is another reason that it's best suited for use as a secondary iPod. For your primary device, you'll want more control over your music and other content. You'll also want more features. The 4th iPod Shuffle does add a few features: support for multiple playlists, Genius playlists, and the addition of a physical button to activate VoiceOver. But it's the features that its competitors have, and that the Shuffle ​doesn't, that cause real problems. While the iPod Shuffle is a nice MP3 player, other MP3 players at a similar — or even lower — price offer more. Many players have screens that can display what song is playing, offer built-in FM radios, and can record voice memos. A few have expandable memory and most offer 4GB or 8GB of storage, while the Shuffle only has 2GB. To make matters worse, some MP3 players that have all of this also cost less than the Shuffle's $49 price! While the Shuffle's 2GB of storage, light weight, and simple interface make for an appealing combination, it's easy to see why someone might want to buy one of the competing players: they have more features and a lower price. I suspect only iPod die-hards won't want to at least consider the competition if they're in the market for an ultra-portable MP3 player. It's hard to know what caused the Shuffle to fall behind the pack. Was it Apple's detour with the 3rd generation model or just a lack of a clear direction? Whatever the cause, the Shuffle has definitely fallen behind. The 4th Generation Apple iPod Shuffle is a major improvement over its predecessor. If you're already an iPod user looking for a lightweight, low-cost iPod to use while exercising, this Shuffle is a good option. But if you're not convinced that you have to have an iPod, and are looking for the best combination of features and price, you may want to investigate other companies' offerings before making your purchase.